When I signed up for my first yoga class I really had no idea what I was getting myself into. From what I understood about yoga was that there were a bunch of candles and a room full of people stretching and meditating. Don’t get me wrong there are plenty of yoga studios out there that are low intensity and offer classes that will allow you to relax and clear your mind, but this is not one of those workouts. If you are curious about yoga but aren’t sure if it’s the right workout for you, allow me to try and help your decision process with my DDP Yoga review. 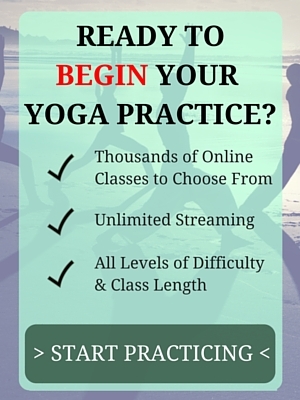 DDP Yoga Review – What Is It? DDP Yoga was created by former professional wrestling legend Diamond Dallas Page to heal his own body after a wrestling career full of injuries. As you can probably guess, with a former pro wrestler as your trainer the workouts can get pretty intense. DPP Yoga incorporates many of the traditional poses that yoga offers but adds a little bit of its own style to the mix. For example, instead of Child’s Pose in traditional yoga it is called Safety Zone in DDP Yoga. However, just like traditional styles of yoga like Vinyasa Yoga, DDP Yoga focuses on going at your own pace and not over-doing it which is why ‘Safety Zone’ is such an appropriate name; you are encouraged to rest in this pose any time you need to. It’s not about going extremely hard all at once, it’s about going at your own pace indefinitely. What’s So Special About DDP Yoga? So as I enter my first yoga class of my life I am amazed by the full room of people warming up and the body-builder sized instructor in front of the class. At this point I had no idea I had just stepped into a DDP Yoga class but it was honestly the best thing that could have happened for my practice and my health. Me before and after regularly practicing yoga for a year. DDP Yoga uses what is called ‘dynamic resistance’ as a main focus in the workouts. Throughout the entire workout you are clenching every muscle in your body as hard as you can and it should feel like moving through quicksand as you go through the class. It is extremely challenging at first but as your muscles start to get stronger you will begin to notice how much and how fast your body is changing. Another huge benefit to DDP Yoga is that if you have issues with pain in your lower back, joints, knees, or any other body part that is affected by high-impact workouts, DDP Yoga focuses almost exclusively on low-impact poses. In DDP Yoga you are not moving further than the confines of your mat, allowing your body to get stronger and heal itself from the inside out. It really is quite amazing! And if you are still skeptical about if DDP Yoga can help you lose weight, since you are clenching your muscles and holding these yoga poses for longer periods of time than traditional yoga, you will begin to sweat dramatically and your heart rate will be through the roof. You start to realize that even though you are barely moving you are doing extreme cardio and your body will be shedding that excess weight before you know it! It’s hard for me to be unbiased when reviewing DDP Yoga because of how well it worked for me and help relieve my lower back pain when I was first starting out. I am pretty average build and don’t have too much of an issue with my weight so I was able to get great results from it after a few months. It is crucial that whatever workout program you start that you stick with it and you will find the results you’re looking for. I have since stopped practicing DDP Yoga because I moved to a city that did not offer any DDP Yoga classes so I started looking for another yoga practice that would offer me the same intensity of DDP Yoga but also allowed me to calm my mind, which DDP Yoga did not allow me to do. If you’re looking for a great workout that doesn’t require a lot of high-impact exercises that you can practice from the comfort of your own home then no matter which style of yoga you choose you will be making the right choice. Starting a regular yoga practice is the reason I no longer suffer from chronic low back pain and can help you to. You just have to decide to start. This is a really great website. It is very informative and I especially like the honesty of the pros and cons. I have often thought about yoga but never really got into it. I guess I never really saw it as a workout but I can see from your photos that you have toned up. Maybe this is what I need, especially if it can be maintained at home after the initial set of guided lessons. What kind of yoga do you practice now? Hi! I’m glad you enjoyed the post! Right now I am doing a mix of a few different online yoga classes, trying to increase my muscle strength and stamina in order to get deeper into poses and hold for longer without needing a break. I use The Ultimate Yogi DVDs when I’m looking for a really good workout because the classes are similiar to power yoga classes. 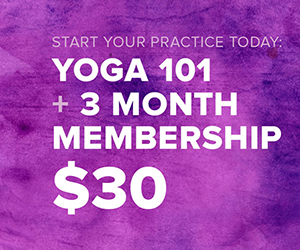 I have also really enjoyed the online classes over at The Yoga Download because the library is huge and I’m able to choose from tons of different instructors. They are offering a 2 week trial right now for $1 – it’s definitely worth checking out. 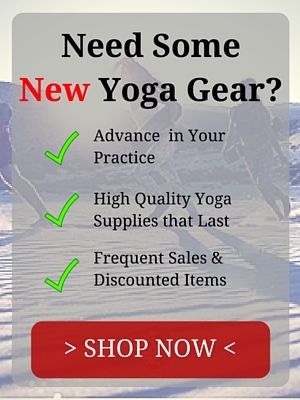 Can you share what new form of yoga you do now? Hello! I have been doing a lot of online power yoga classes recently. 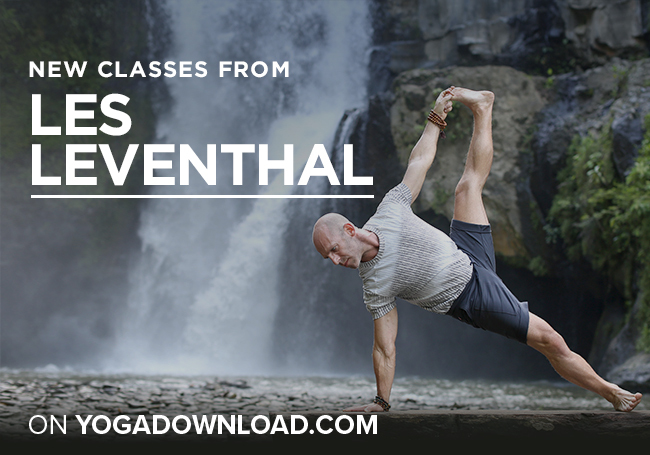 You can find a lot of really good, free classes over at The Yoga Download. I have been going through their library of classes for a couple of months and it’s been pretty great. Practicing in the comfort of your own home is pretty nice too. Enjoy! I just love to see new workout regimens and it is really interesting to know about the adaptive yoga classes out there! DDP yoga appears to be the new yoga-for-men, or yoga for body builders, although I’m sure anyone and everyone will benefit from such a class. Thank your for the education! Best wishes! Yeah, DDP Yoga is definitely designed to get men to take yoga but there were still far more women in each class that I went to. It’s amazing how good of a workout it is though. Thanks for your comment! 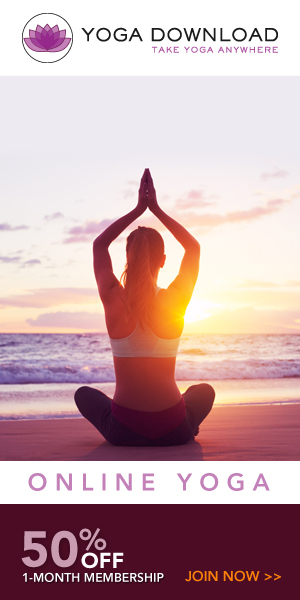 Compared to many other fitness activities Yoga seems very tranquil and beneficial for the body without placing it under too much stress. I have never tried Yoga but I feel inclined to do so after reading this post. The fact that it is beginner friendly is even more of a benefit for a complete newbie like me. The great thing about yoga is you can take your practice to whatever level you want. If you want more of a relaxing stretch then there are tons of postures for that and if you want extreme cardio and strength training, there are plenty of postures for that as well! Hi, thanks for the informative review on DDP Yoga! I enjoy doing yoga as part of my fitness routine, and it’s interesting to learn about a different yoga method I haven’t tried before. 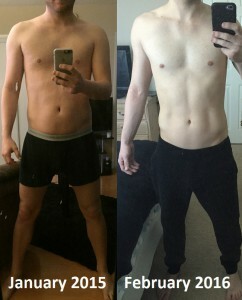 It’s great to see that you can get good results without having to lift weights or use other equipment. I’m always looking for new and different yoga routines so I’m glad you enjoyed my review of DDP Yoga. There are so many amazing programs out there and not having to worry about any equipment no matter which one you are doing is really great.